The holidays mean gathering with family and friends to celebrate the joy of the season. While hosting can be a lot of fun, it also means plenty of planning, preparation and cleanup afterward. Skip the dishes and come have fun with us! We’ve got a number of exciting events coming up to help you get in the holiday spirit. Kids want a photo with Santa? Easy! Visit with Old Saint Nick and kick off the holidays with a decadent brunch at the same time! Multitasking has never been so fun (or delicious). 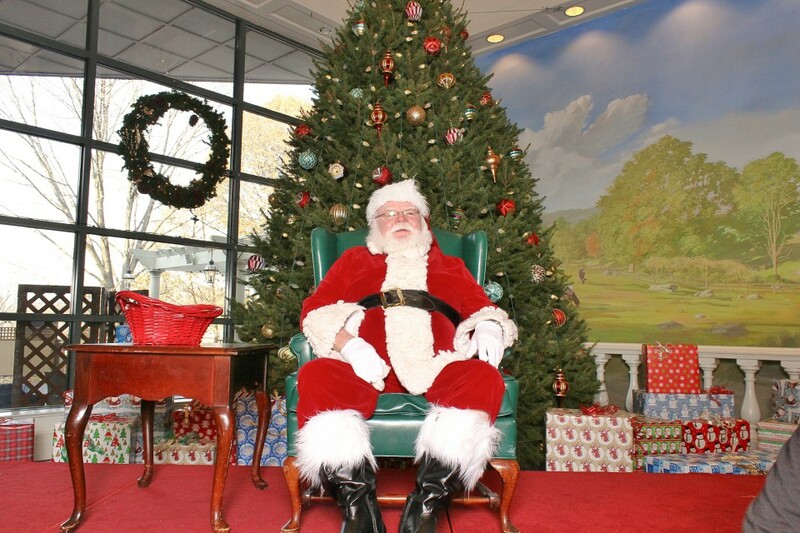 After you meet with Santa, we treat you to a complimentary keepsake photo. Cinnamon and rum brioche French toast. Hand-carved Black Angus beef sirloin with jus and horseradish sauce. And many other delicious items from our kitchen. The cost is just $26 for adults and $16 for children 6–12 (children 5 and under are free). Call (610) 249-2180 for reservations. We love the classics as much as you do, and that’s why we’re doing our second annual Charles Dickens brunch! We’ll celebrate the season with themes from the classic tale A Christmas Carol and serve up a chef’s selection of brunch specialties and yuletide favorites. 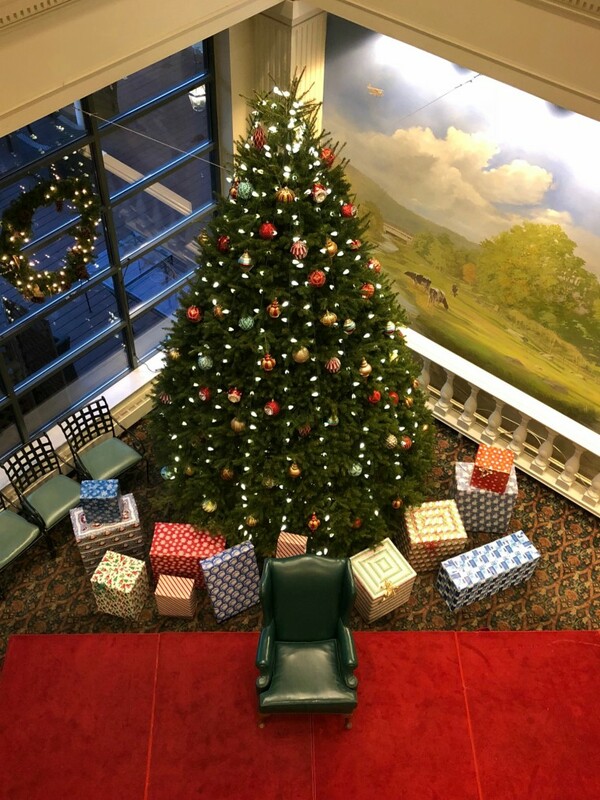 Snap a keepsake photo by our tree to commemorate the day! This event is so much fun, you might just be moved to sing your own carols. Cardamom and lemon brioche French toast. Alder-planked salmon filet with a spiced crust and mint chutney. Lamb and root vegetable shepherd’s pie. Chocolate and chai bread pudding. Much more from our kitchen. We’re having this special event on on Sunday, December 17, from 9 a.m. to 2 p.m. The cost is $29 for adults and $17 for children 6–12 (children 5 and under are free). Don’t wait to make your reservations: Call 610-296-9800 or book online. This is a perfect brunch for the family when you have guests in town. Let us take care of the menu and you can focus on enjoying the time together. We’ll be making spirits bright with amazing food in our warm and cozy dining room. Join us on Sunday, December 24, from 9 a.m. to 2 p.m. for a one-of-a-kind treat! The cost is $29 for adults and $17 for children 6–12 (children 5 and under are free). Reservations are strongly recommended. You can call 610-296-9800 or book online. End the year with a relaxing meal at our place! Choose from our award-winning brunch menu that has something for everyone — kids, too! — such as just-baked pastries, donuts and bagels, omelets, French toast, waffles, creamed chipped beef and more. Save room for dessert! It’s just $21 for adults and $12 for children 6–12 (children 5 and under are free). Reservations are strongly recommended. Call 610-296-9800 or book online. This entry was posted in events and tagged brunch, events, holidays, seasonal. Bookmark the permalink.